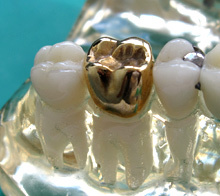 Dental crown cost vary depending on what part of the United States you live in and the type of crown that is chosen. All porcelain crown cost are more expensive than porcelain fused metal crowns. Nowadays, with the price of gold skyrocketing, an all gold metal crown cost can be very expensive depending on the market price of gold. Generally, dental crowns can range in cost from US 500 to US 1,500 or more per crown. 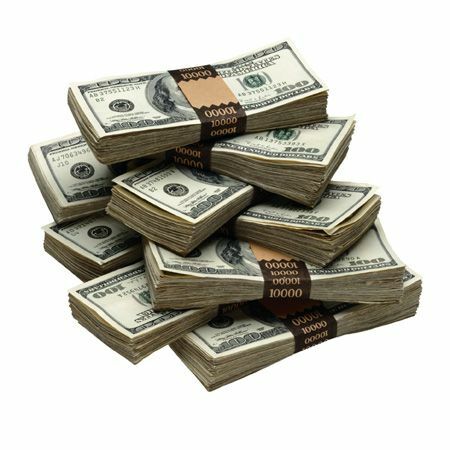 Sometimes a portion of the cost of crowns can be covered by the insurance company. Avoid sticky high sugar food, as this might lead to decay at the gum margin of the crown. Ensure that the finish line or border of the crown near the nick of the tooth is clean often to prevent leakage of the crown. Avoid chewing hard foods such as nuts as this might chip off the crown. Floss regularly so that no food is stuck in between. If insufficient care is given to the crown, not only will the dental crown drop off, your gum’s at the crown area might recede and bone loss might also happen. On average, dental crowns life span is normally between 5 and 20 years. The life span of a dental crown depends on the amount of wear the crown is exposed in the mouth .This will depend largely on how well you look after your teeth, attend regular checkups at your dentist, don’t grind your teeth, maintain a tooth kind diet . Dental crowns require the same level of care and attention as your natural teeth.The crown itself cannot decay like a natural tooth, but decay can start where the edge of the crown joins the tooth or the finish line (border of the natural tooth and the crown). It is very important to keep this area as clean as your other teeth, or decay could endanger the crown and shorten its life span. Will the crown feel different in my mouth ? Your new dental crown will be fabricated to resemble an ideal natural tooth structure, sometimes before a new crown was put on, your old natural teeth might have already been broken down due to wear or fractures. Hence ,the shape of the dental crown will be slightly different from the shape of you tooth before it was crowned . However, do not worry too much because most patients adjust to the change within a week. However, do note that if at all any pain or discomfort is felt even after a week ,the dental crown may need some adjustment by the dentist who made it. What possible Problems Could Develop With a Dental Crown? Allergic reactions. Some patients do not know that they are allergic to metals or resins. Therefore, when metal crowns or resin crowns are fabricated, the patient who is allergic my develop swollen gum’s or feel itching and discomfort. Discomfort or sensitivity.Sometimes, some patients feel pain when biting down on their new dental crown. This could be because the crown that was fabricated was to high so when the patient bites down it injures the gum’s or the opposing tooth. Chipped crown. 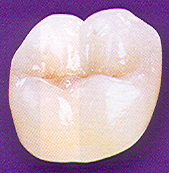 Some materials like all porcelain crowns can sometimes chip. The chip can sometimes be repaired by the dentist with composite bonding filling. But usually a chip requires a new crown because the chip can mean that a leakage might occur and compromise the whole tooth. Dark line on crowned tooth next to the gum line. A dark line next to the gum line of your crowned tooth is normal, particularly if you have a porcelain-fused-to-metal crown. This dark line is simply the metal of the crown showing through. However if it is not a porcelain fused metal crown, a dark line seen there might indicate a leaked crown that might need to be replaced. Crown falls off. Sometimes dental crowns fall off. Usually this is due to an improper fit or a lack of cement. If this happens, clean the crown and the front of your tooth. You can replace the dental crown temporarily using dental adhesive or temporary tooth cement that is sold in stores for this purpose. Contact your dentist’s office immediately.The dentist can usually re cement the crown back on. However, if that fails, a new crown has to be fabricated.